Bringing the car buying experience back to earth. While working at AutoGravity, I led design for our suite of web products. I was responsible for revamping of the marketing website, improving customer experience and increasing conversion rate for the web app and working with clients to produce private label solutions. Finding the car of your dreams. 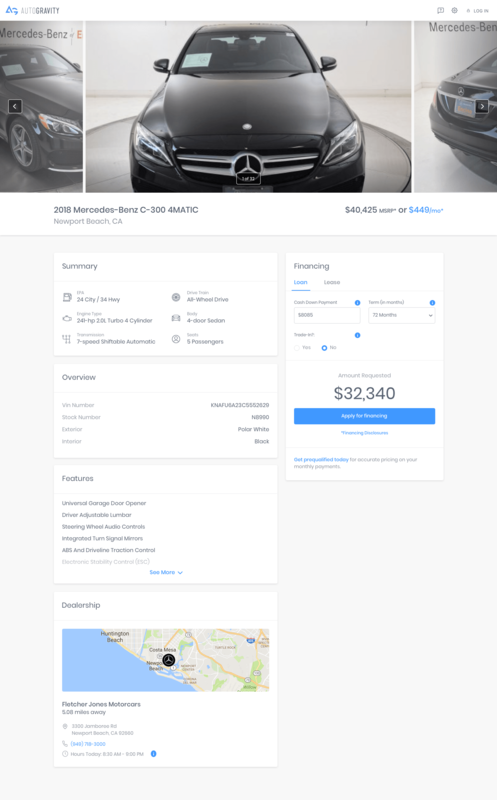 When people are looking for a new vehicle, they're often search by condition, bodystyle, price or the best deals, the new homepage experience allowed users to do all of those things. We took the approach of separating the experience of the shopping and the buying. This helped us focus on different problems we needed to solve, depending on where the user was in the journey. To generate organic traffic to our pages, we added additional content and focused on keywords customers used to search for vehicles. I presented a solution where we showcased the automative brand using stylized imagery, bodystyle categorization and inventory related information. 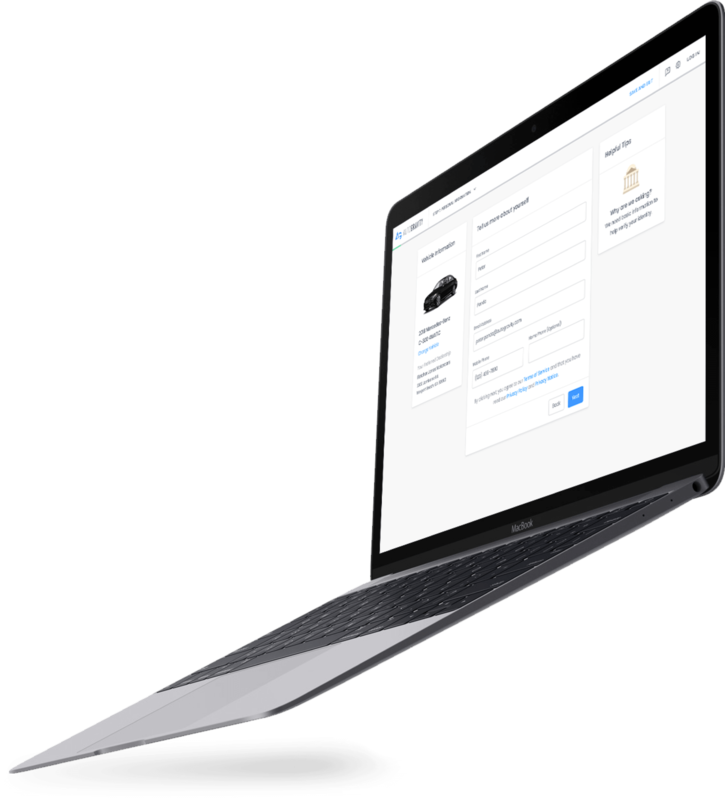 To help users in the shopping experience, we needed to educate the user on everything related to the vehicle they were searching for. The vehicle detail page showcases all aspects of the vehicle for manufacutring specs, the styles within that vehicle and different variations of the bodystyle. The old process of reviewing details for a used vehicle separated the information from the financing. Checking mixpanel, we saw a large dropoff rate during this step. I hypothesized that users didn't feel comfortable commiting to a lease or finance option without knowing more of what they were getting, especially if purchasing used. I re-designed this flow by combining both steps, changing the layout and heirarchy of the information. I worked with the UX designer to test the designs with users and we saw overwhlemingly positive feedback with these new changes. Like other parts of the product experience, there were high amounts of drop-off at the credit application screen. This might've been because users just weren't ready to proceed with the vehicle the chose, they had different means of financing or the information presented was too overwhelming. The new design I worked on presented the vehicle the user was interested in, a revamped card system to display information in a more meaningful way and I introduced a Helpful Tips card to help build trust and education on why we needed certain information.